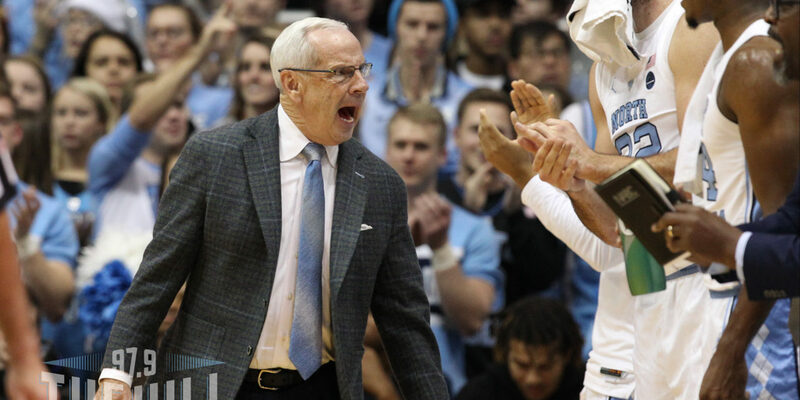 The last minute of UNC’s 97-69 win over UNC-Wilmington saw the Tar Heels shoot a flurry of three-pointers as the clock expired. But why? The Tar Heels already had a comfortable lead and could have held onto the ball as the clock drained. The answer, as always, is free food. Head coach Roy Williams addressed the media about this following the game.
.@UNC_Basketball took 4 threes in the final 30 seconds trying to reach 100 points AND @Bojangles1977 biscuits for a dollar. North Carolina held UNCW to just 35.5 percent shooting on the night, which is well under the Seahawks season average of 46.2 percent.